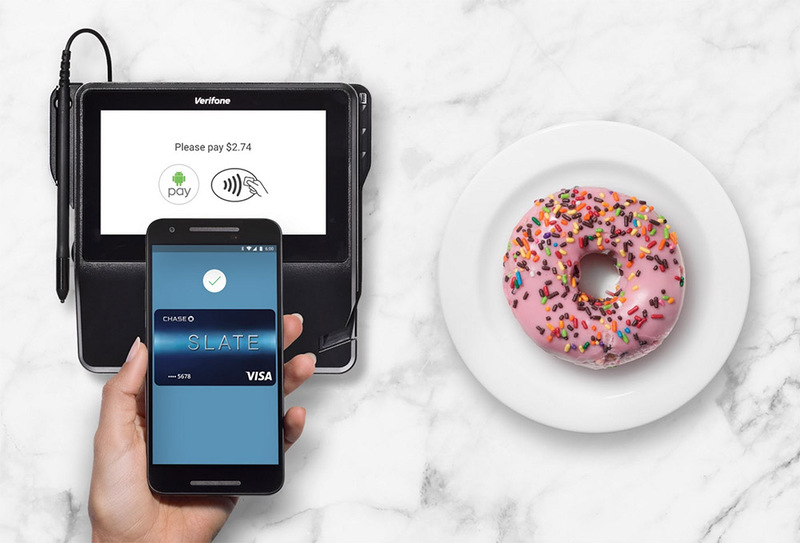 This morning, after adding a specific bank name to its list of supported banks late last night, Google announced that Chase is officially a part of Android Pay. Chase, people! For Chase members, cards including Freedom, Slate, Sapphire, United Mileage Explorer and the Hyatt Credit Card are eligible for use within Android Pay. Like with any other bank that has been a part of Android Pay, you add your Chase cards and then tap to pay at supported terminals throughout your shopping adventures. In other news, Android Pay in the UK has made its way to Santander and TSB. I’ll have to let our UK readers fill you in on whether or not those are big time additions or not. Finally, Google took a moment through a blog post announcing this news to remind us about Android Pay integration into Chrome, giving you secure and simple payments on the web. So far, 1-800-Flowers.com and Groupon are participating, with new shops on the way. Chase, crew, ready for donuts?